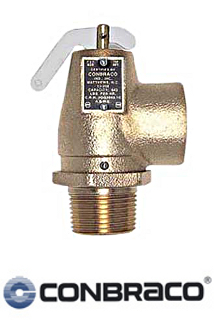 Model 13-202-B15 is a safety valve for over pressure protection of low pressure steam boilers operating up to 15 psi. It is rated up to 15 psi and 250°F saturated steam. Model 13-202-B15 safety valves meet ASME code, Section IV.